The Christmas story is retold in five great episodes. Each is followed by traditional carols - complete with words and simple piano score and guitar chords - that sing out their part of the story. Carols include: Deck the Halls , The Angel Gabriel , O Little Town of Bethlehem , Mary Had a Baby , Silent Night , Away in a Manger , The First Noel , Hark the Herald Angels Sing , While Shepherds Watched , We Three Kings , Joy to the World , O Come All Ye Faithful , Go Tell It on the Mountain , and We Wish You a Merry Christmas . 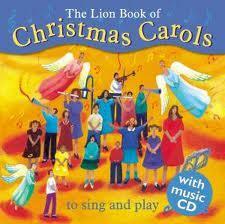 This edition features a CD of simple melodies to accompany the carols.